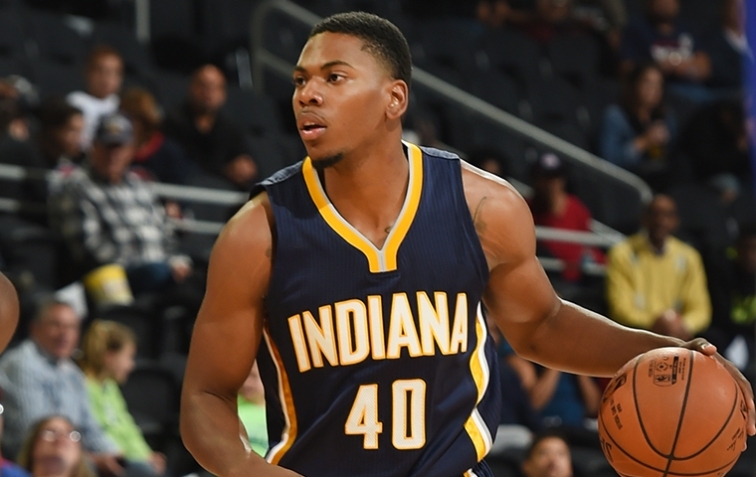 Glenn Robinson III played 76 games in a Michigan uniform and was always been faced with the unenviable task of living up to his potential. He can jump so high, why doesn’t he dominate every game? As a freshman, Robinson didn’t do much other than dunk. He was one of the best finishers in the country – but almost everything he did was a product of Trey Burke’s offensive abilities. That wasn’t a problem, it was what that team needed. Burke and Hardaway dominated the ball, and Michigan finished the season with the best offense in the country. This year Robinson was supposed to turn into an offensive star. Judging by his mindset in the offseason, Robinson knew as much. That didn’t quite happen. It was Nik Stauskas, not Robinson, that emerged as Michigan’s superstar and lottery pick. Robinson was arguably Michigan’s third option and he would probably admit that we never saw the “real GRIII”. But too many are quick to out and out discredit Robinson’s improvement. He still expanded his game as a sophomore and Michigan still had the best offense in the country, despite losing Burke and Hardaway. As a freshman, the Northwest Indiana native used just 15.2% of Michigan’s offensive possessions – classified as a ‘limited role’ by Ken Pomeroy. As a sophomore, he increased his usage rate to 21.2% – ‘significant contributor’ and was still the 8th most efficient player in the Big Ten (>20% usage). Finishing: Robinson shot 68% on shots within five feet of the rim. That’s a really good number, especially considering that Robinson isn’t just a 7-foot tall big man that finishes dunks and putbacks. He showed an increased versatility to finish through, over, and around opposing defenders at the rim, but his ability to convert never wavered. Perhaps the shots he hit were magnified because he struggles at other times, but without some of Robinson’s critical shots, the Wolverines might not have managed to win the Big Ten Championship – certainly not with as much ease. Improved Offensive Creation: It might not always have seemed like it, but Robinson created more offense this season. As a freshman 6.8% percent of his offensive possessions were isolations or ball screens. As a sophomore, that number increased to 21 percent. Robinson was slightly less efficient, but undoubtedly more aggressive with the ball in his hands as a sophomore. Rebounding: We all know how athletic Robinson is and that’s what makes his rebounding numbers so troubling. His defensive rebounding rate increased a tenth of a percent from 11.4 to 11.5. His offensive rebounding rate dropped from 7.8% to 6.0%. There’s no reason that Derrick Walton or Caris LeVert should grab more defensive rebounds than a player with Robinson’s athletic ability. Three-Point Shooting: Robinson shot just 30.6% on threes — down from 32.4% as a freshman. His stroke never looked bad, although he had the tendency to fade a bit, but a consistent three-point shot is the main thing keeping Robinson from being a superstar. Consistency & Motor: There were times when Robinson was brilliant, but there were other times when he seemed to be checked out. Robinson had a pretty significant slump in January but snapped out of it down the stretch, playing arguably the best basketball of his career over the final month of the season. Robinson showed flashes of great basketball this season. He made winning plays and he was more aggressive overall, but it’s impossible to shake the feeling that we never saw his best basketball in a Michigan uniform. He has all of the tools and for whatever reason he was just never able to put everything together consistently as a sophomore.